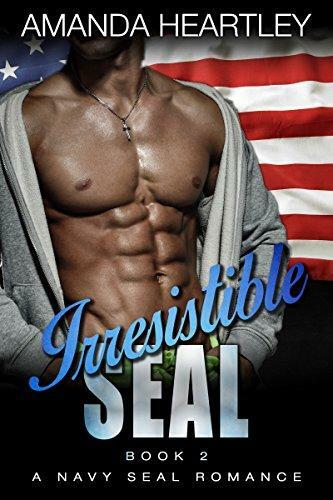 After an unhappy childhood, Luke Carter joined the US Navy and has dedicated the last twelve years of his life to the SEALs. But the relentless overseas tours have taken their toll on his mind and body and now he dreams of what life might be like outside the military. Love, romance, his own space—maybe even a family he can call his own. Juliet Morgan works in the fast-paced world of finance. Beautiful, headstrong and smart, she chooses her career over love and puts all of her energy into her new job—a job she was ‘persuaded’ to take far away from her beloved Manhattan by her rich, overbearing father. She’s not looking for romance, but feels lonely and lost in her new environment so she turns to online retail therapy to lift her spirits and accidentally stumbles across a dating site where she’s awestruck by Luke Carter. The sparks flicker to a roaring flame with each sizzling message between them—then the battlefield nearly claims Luke’s life and he’s rushed home to the States. Although he’s only an hour away from Juliet, in his mind everything’s changed and his pride gets in the way of the love, passion, and happiness they both so desperately crave. Can Juliet break down the walls of this irresistible SEAL, or are they both destined to a life of loneliness?